(PLP PR Media Inc.) — Following the passage and destruction caused by Hurricane Irma, Prime Minister of the Federation of St. Kitts and Nevis Dr the Hon Timothy Harris is praising his sub-regional counterparts for coordinating a centralised rapid post-hurricane response. 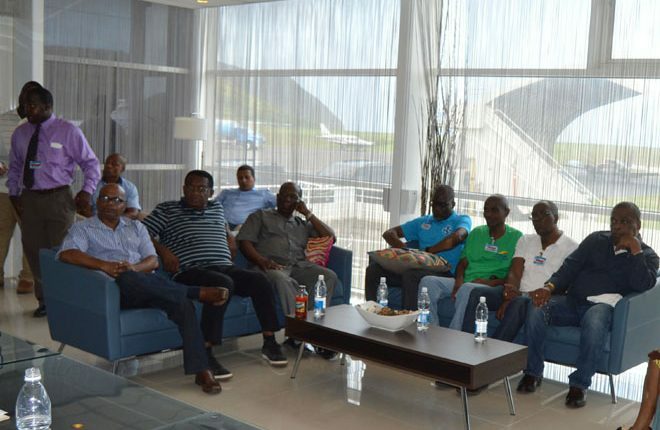 “It is perhaps one of the first times that we have had this level of centralisation of the coordination at the sub-regional level with respect to the passage of hurricanes here,” said Prime Minister Harris at a Press Conference held at the Robert L. Bradshaw International Airport on Sunday September 10. Prime Minister Chastanet was leading a team that also included the Prime Minister of the Commonwealth of Dominica the Hon Roosevelt Skerrit that visited Anguilla and the British Virgin Islands to assess first-hand the damage caused by the passage of Hurricane Irma. 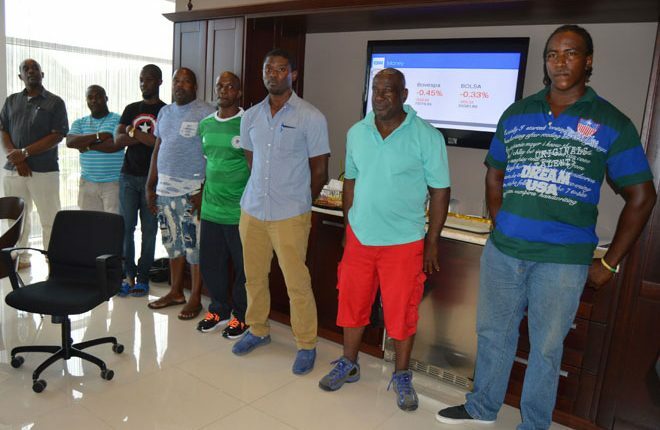 St. Kitts and Nevis was their third stop where they were due to visit and see the damage inflicted to the north-east parts of the island of St. Kitts. However, due to the delay caused by impassable roads in the BVI, they arrived late in St. Kitts and were therefore not able to tour the affected areas. After St. Kitts they were due to travel to Antigua. Prime Minister Harris thanked the team for opting to visit the four countries that had been impacted by Hurricane Irma, and Jose to a lesser extent, and for the successful attempt to coordinate the response of support to all of the islands. Dr Harris, who is also the Minister of National Security said he hoped that with the excellent show of solidarity the country had from Prime Minister Chastanet through the supply crews to assist with the reconnection of electricity and water in St. Kitts that in short order all areas and all individual households would be fully connected. To his sub-regional counterparts, Dr Harris advised them that the three hospitals in St. Kitts which are substantially underutilised as the country was spared any loss of life would be available to assist any of the neighbouring islands that are suffering and the facilities would be available should the need arise. 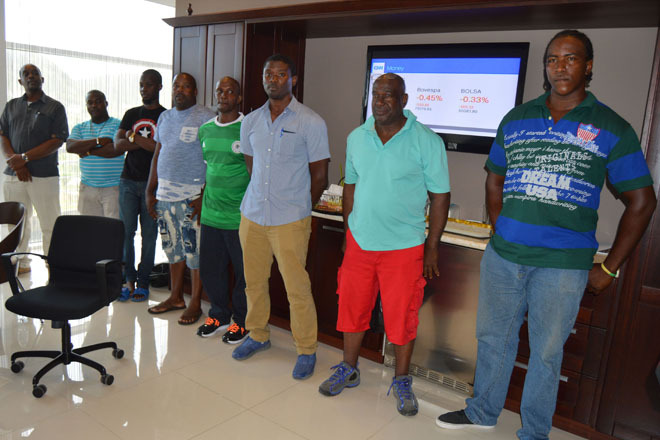 At the Press Conference, part of the water reconnection crew from St. Lucia was introduced, while the Prime Minister of the Commonwealth of Dominica Hon Roosevelt Skerrit pledged EC$500,000 to assist St. Kitts and Nevis with its post hurricane recovery programme. Prime Minister Harris also thanked Prime Minister Chastanet for allowing for the safe harbour of the St. Kitts and Nevis Defence Force Coast Guard Stalwart in St. Lucia during the passage of Hurricane Irma. Present at the Press Conference were members of the St. Kitts and Nevis Cabinet, Deputy Prime Minister the Hon Shawn Richards, Minister of Tourism Hon Lindsay Grant, Minister of Infrastructure Hon Ian Patches Liburd, and the Minister of Lands and Housing the Hon Eugene Hamilton. 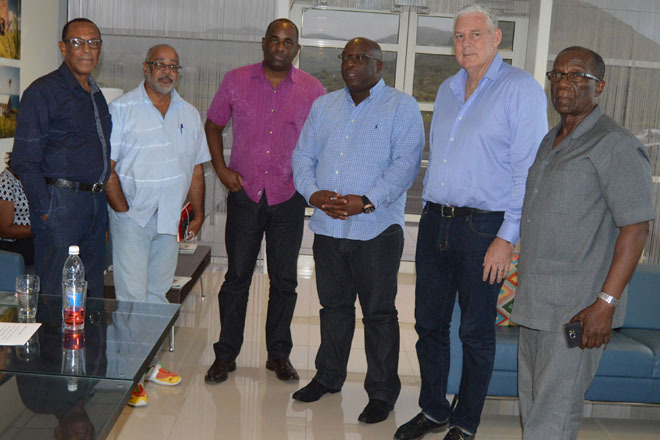 Prime Minister Harris noted that Senior Minister and Premier of Nevis the Hon Vance Amory and Foreign Affairs Minister the Hon Mark Brantley were engaged with recovery activities in Nevis. Also at the Press Conference were Cabinet Secretary Mrs Josephine Huggins, Ambassador His Excellency Michael Powell, Ambassador His Excellency Sydney Osborne, and Deputy Speaker of the National Assembly Senator the Hon Akilah Byron-Nisbett. Prime Minister Harris also paid a glowing tribute to Mr Bertill Browne who is the coordinator for the restoration processes at SKELEC, Mr Crowell Williams the Director of Public Works, and Mr T. Denison Paul the water engineer, who were present at the Press Conference.